The Pocket Diagnostic® Phytophthora plant pathogen rapid test is a lateral flow test designed for the detection of many Phytophthora species including Phytophthora ramorum (Sudden oak death), Phytophthora infestans (Blight, Late blight), Phytophthora kernoviae, Phytophthora lateralis, Phytophthora cinnamomi and Phytophthora cactorum. Pocket Diagnostic® Phytophthora rapid tests can be used with a wide range of plant material, including woody tissues, tough leaves, roots and soft material. Phytophthora is a serious fungus-like pathogen of which there are many species, affecting numerous plant hosts. Diseases caused by this pathogen include ramorum blight, potato late blight, tomato late blight, dieback and sudden oak death. 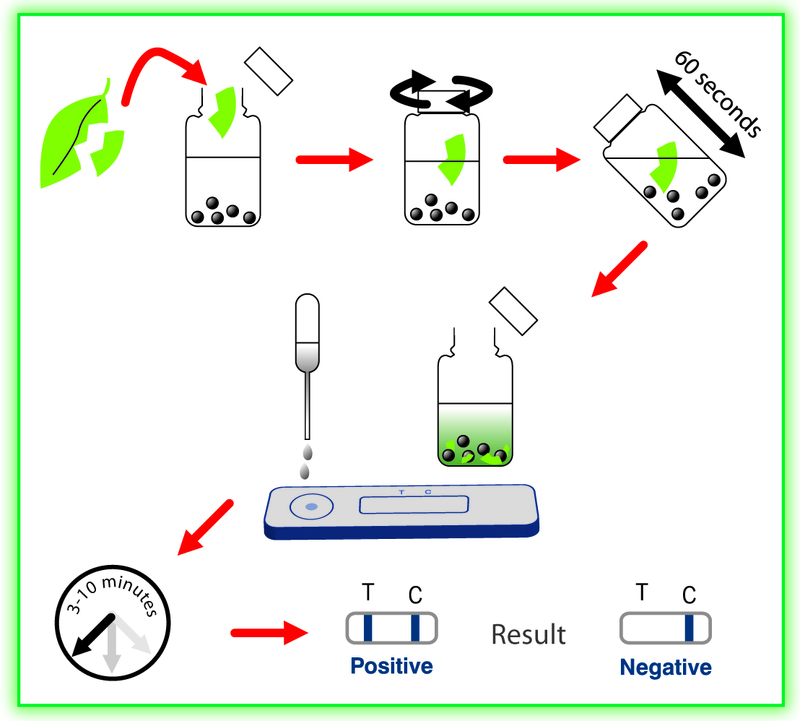 The following describes the simple process of using Pocket Diagnostic® plant disease tests for the in-field testing of Phytophthora.